A Dribble of DCUC Wave 8! 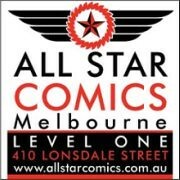 My full case of DCUC Wave 8 for Cornerstore Comics is still a while away I’m sure, so I am picking up a few extras from my good mate and AFB Forum Member MikeS of Mike’s Comic-N-Stuff – I plan to buy an extra Commander Steel and Mr Terrific (to replace the horrid DCD version) for my MA JSA collection when they come in, but for now I have the “Gold” Dr Fate which doesn’t come in my case and an extra Hawkgirl just because I knew she was going to be awesome, and I just wanted two of her! First to the good Dr – I have to say I think the “Modern” Fate is going to end up down at the bottom of the DCUC faves list for the simple reason that the mixture of gold and yellow is just horrid. I’m sure at some point Mattel said this one would be all gold and he really, really should have been because this mish mosh of a figure is just a big disappointment. I see many customs coming. 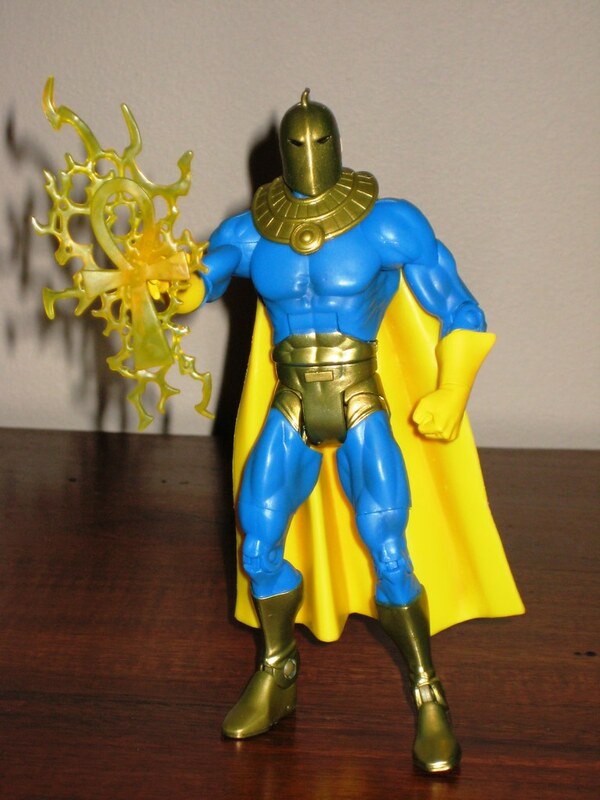 Even I could probably fix the yellow gloves but turning the yellow cape gold is beyond me. If it annoys me enough after sitting on my shelf for awhile I’ll send it off to one of my capable customising friends for fixing. I think it shall. Obviously a removable helmet would be the ideal here, but in this case we don’t really have the hint of eyes underneath which is a shame. On a nice note, his power Nabu-whatever symbol lightning doo-hicky thing (I know, I’m a walking comics encyclopaedia) is cool. Hawkgirl has been one of my most highly anticipated figures in this entire line to date, and while I am not disappointed, there are two drawbacks. One is that her flesh tones differ significantly from Hawkman’s. 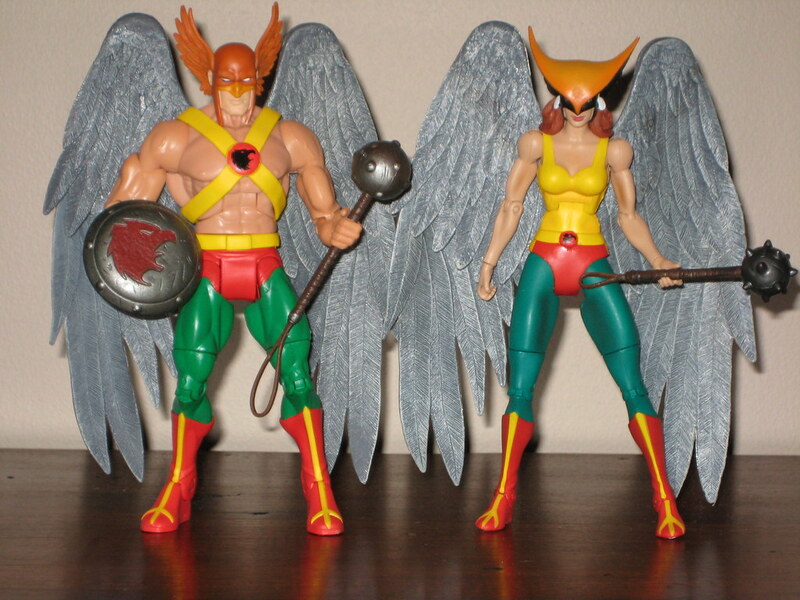 Hawkgirl has the more muddy tones of the S2 Aquaman than the brighter flesh tones of the S6 Hawkman, so the two don’t stand together as nicely as I’d like. This is more noticeable in person than in pictures. The second niggle is that due to something about her stance and the lack of neck articulation due to her sculpted hair, it’s challenging to pose her looking straight ahead, so she tends to be looking down with her mask covering her beautifully sculpted face. More work required in this but I found I couldn’t accomplish it even with her standing in her base. 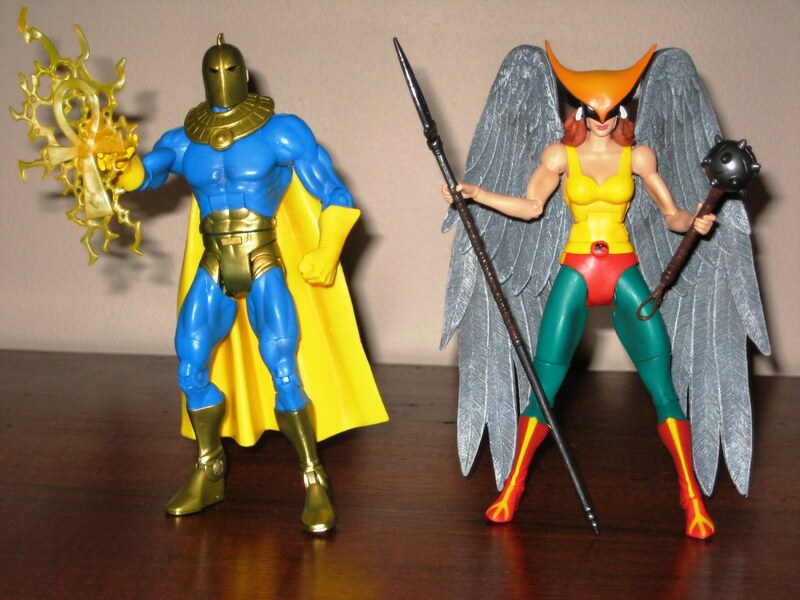 Neither of these things take away from this being the best Hawkgirl ever, even beating DCD’s lovely original Hawkgirl with removable helmet for me, just by a smidge, however I expected this to be my new front runner for 6” female figure of the year, and I’m afraid the DCD New Gods Big Barda still holds that slot. Looking forward to getting the whole case so that Giganta comes together – Wave 8 has been one of my most hotly anticipated waves of any line this year and while I have had some niggles hear I suspect the overall review when the arrive is going to be raves plus! You can see more photos at Facebook or discuss this in the DCUC Wave 8 thread at the AFB Forum. The AFB Comment of the Month Contest Begins! DCUC Wave 8: Too Much! It wasn’t in the plans….. The AFB Comment of the Month Contest is Coming! DCD’s 1:6 Scale Line goes Beyond the pale….. The Brave and the Bold World Expands! JLU Legion – Order Early and Order Often! The Happiest of Days for the Aquafan…..
Two Steps Step Closer to DCUC 5!